A new exhibition “Divine Beauty from Van Gogh to Chagall and Fontana” is taking place in Palazzo Strozzi from September 24, 2015 to January 24, 2016. Fondazione Palazzo Strozzi and Arcidiocesi di Firenze organized this exhibition as a part of programs for the Fifth National Bishops’ Conference in this coming November. For this special exhibition, major modern artworks were brought together from all over Italy and all over the world. For example, Van Gogh’s Pieta was loaned from the Vatican, the iconic Angelus by Jean-François Millet, from the Musée d’Orsay in Paris, and one of the favorites of the Pope Francis, Marc Chagall’s White Crucifixion, from the Art Institute of Chicago. The Divine Beauty exhibition gives an opportunity to explore how artists continued to rediscover religion, faith and devotion in the light of modernity, through the works by both Italian and international artists from mid-19th century to mid-20th century. Add this exhibition to your must-see list for Florence, which is probably full of the marvelous medieval and renaissance churches and frescoes. Then, the divine beauty as imagined in modern times will be a bridge that links you to this historic hub of religious art in a way that not many tourists could experience. 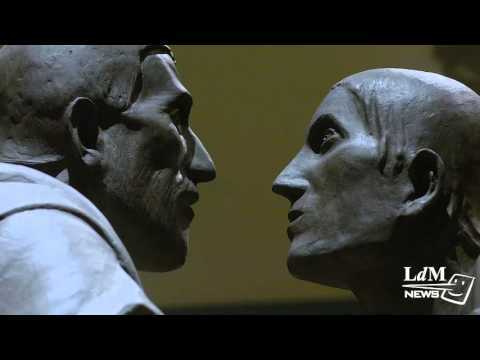 Take a little peek at this exhibition in LdM news’ video!